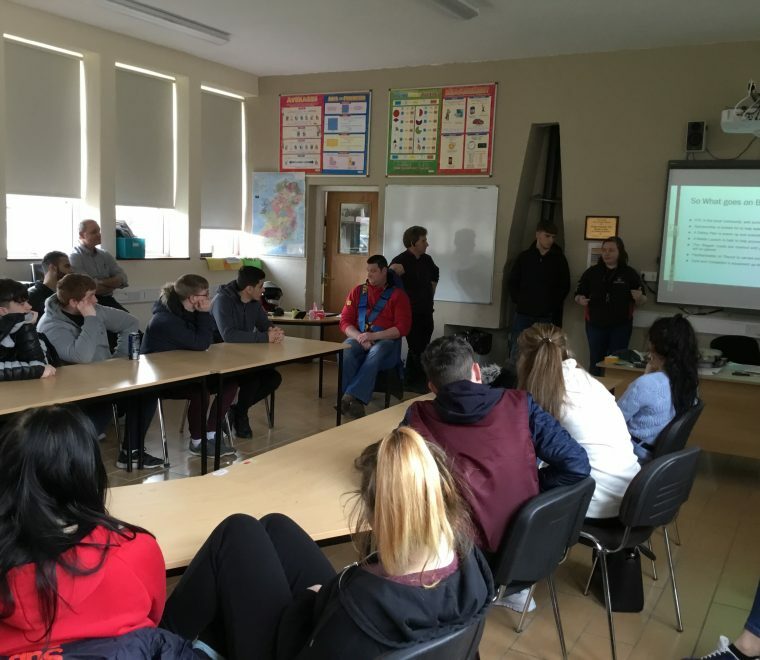 M&D Club presentation for Ballinrobe Youth Reach. 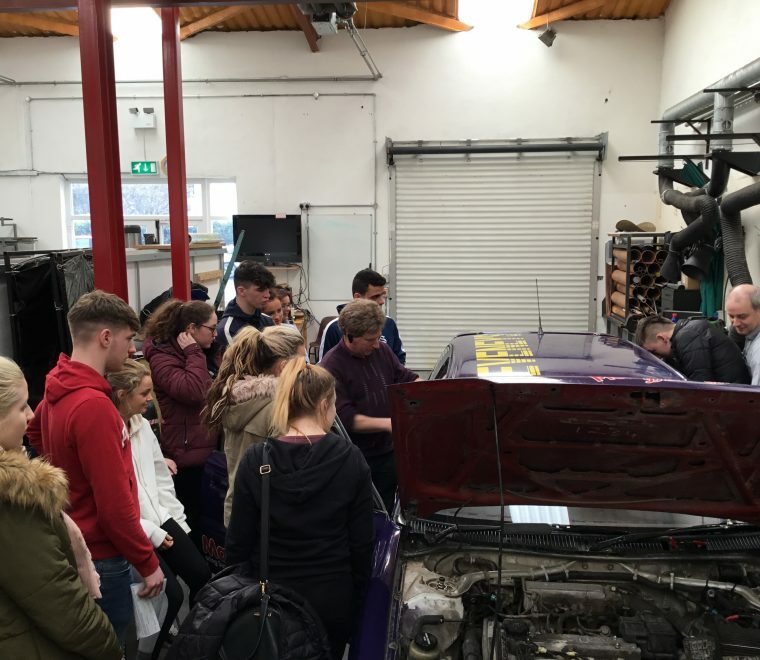 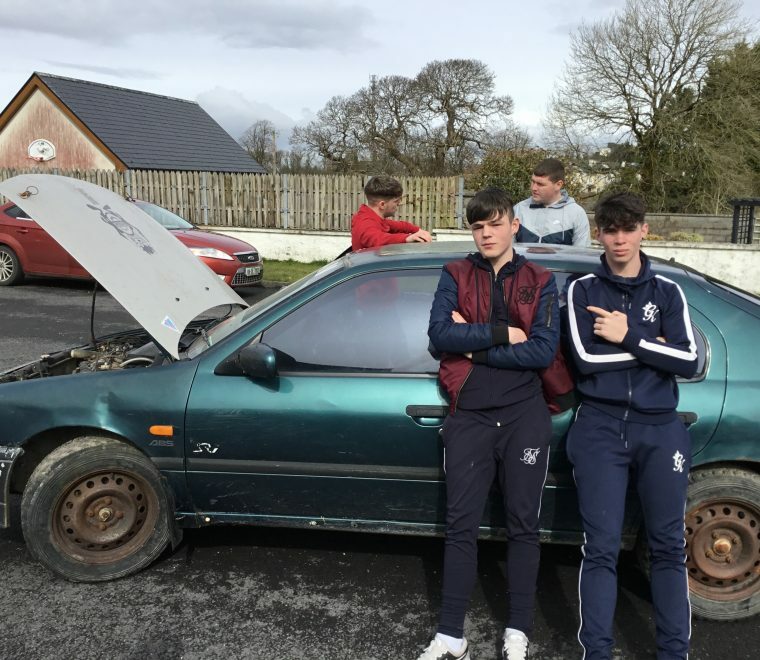 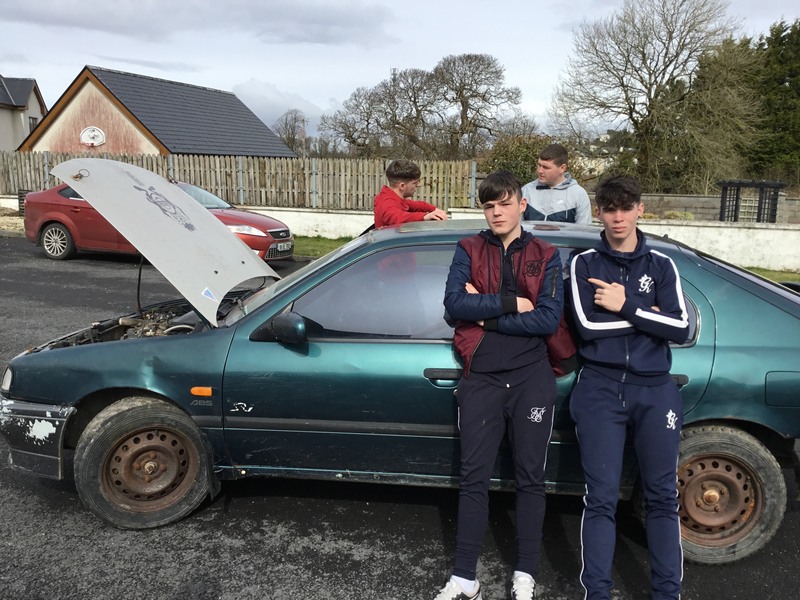 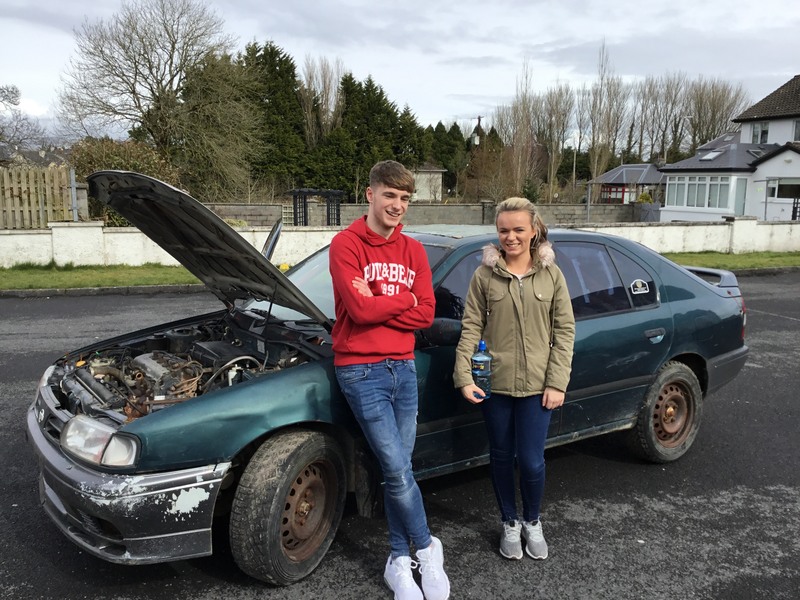 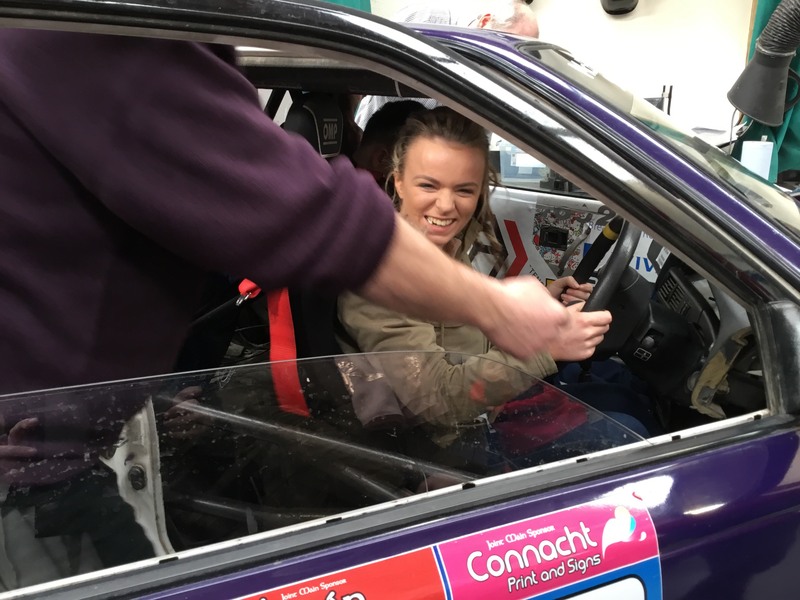 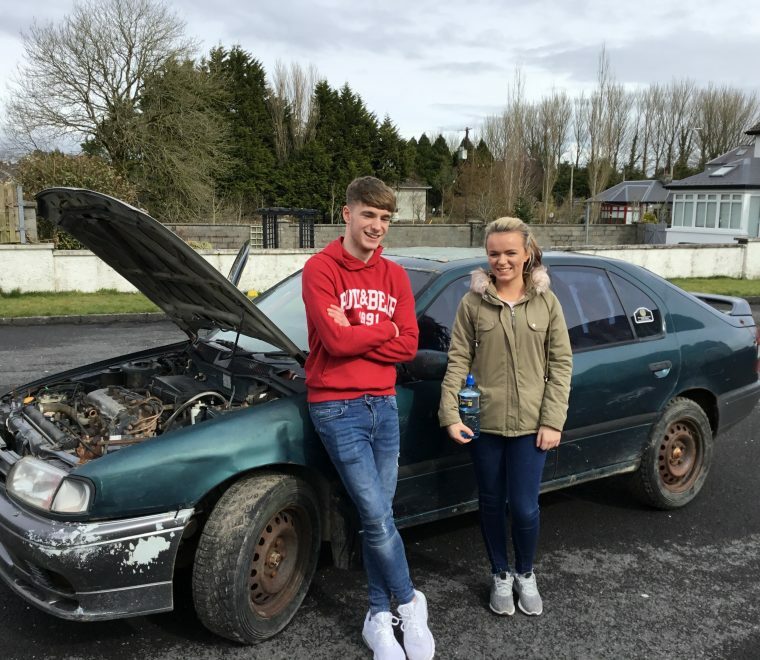 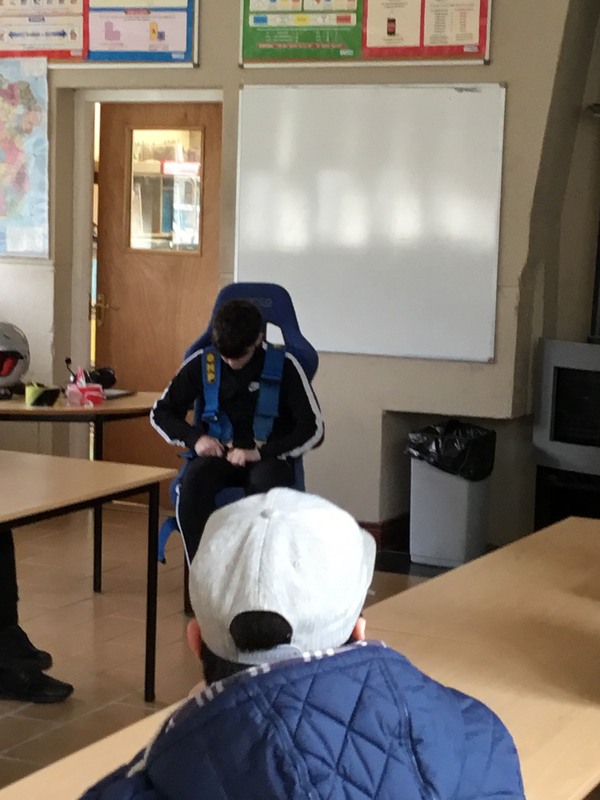 On Friday the 23rd of March members of Mayo & District Motorsport Club were on hand to assist club member Marian Gibbons when she facilitated an ‘Introduction to Rally Safety’ demonstration for the students of Youthreach Ballinrobe. 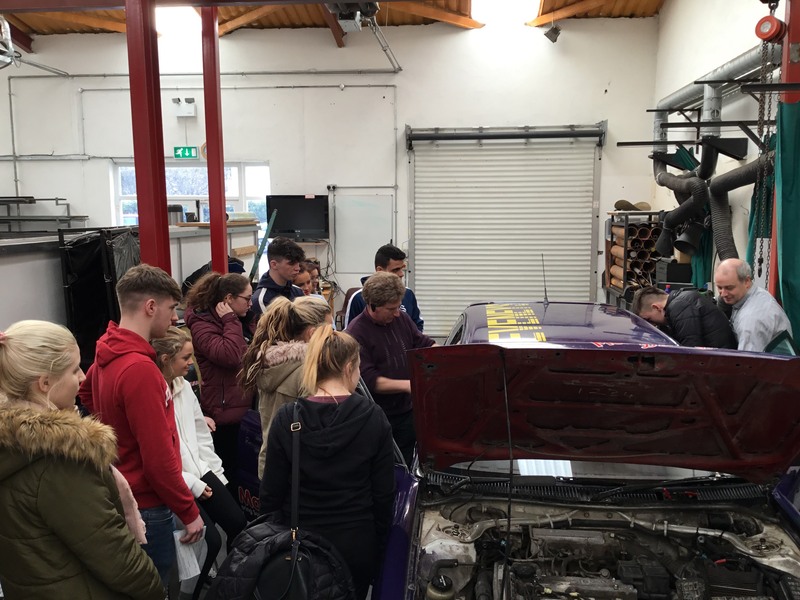 The aim of the day was to show the students how much time and work goes into hosting a national stages rally, for both the competitors and the rally organising team. 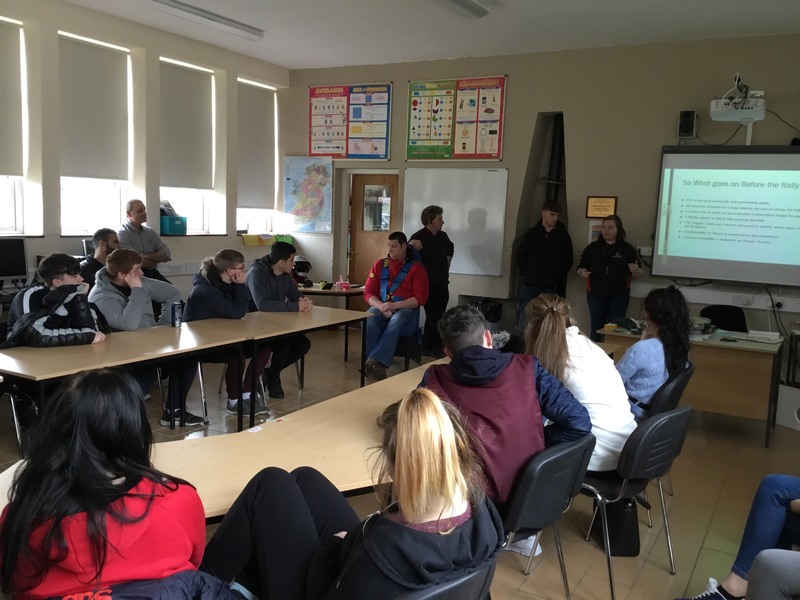 commander and a resident while at the same time giving the students the opportunity to flex their charismatic charm. 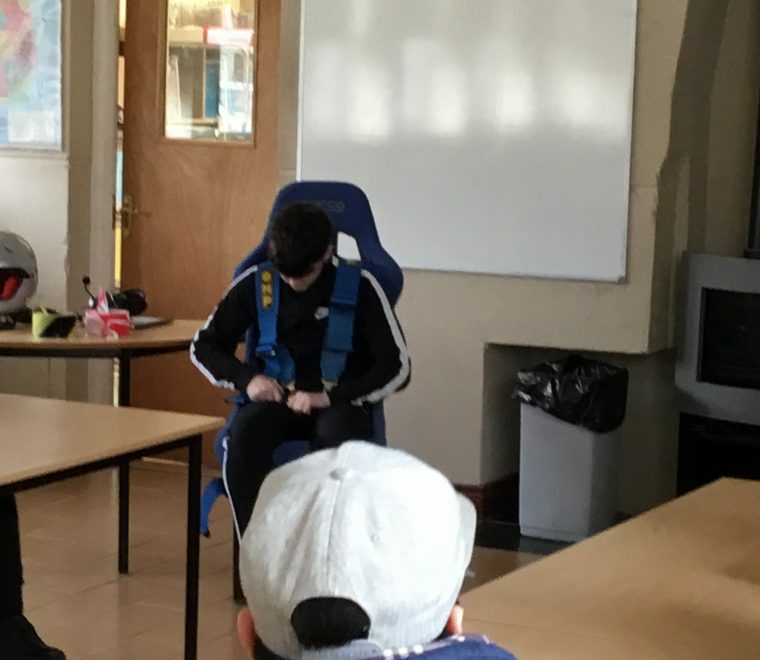 It also proved entertaining when David himself was brought face to face with an unconvinced and unimpressed ‘resident’ brought to life by one of the teachers. 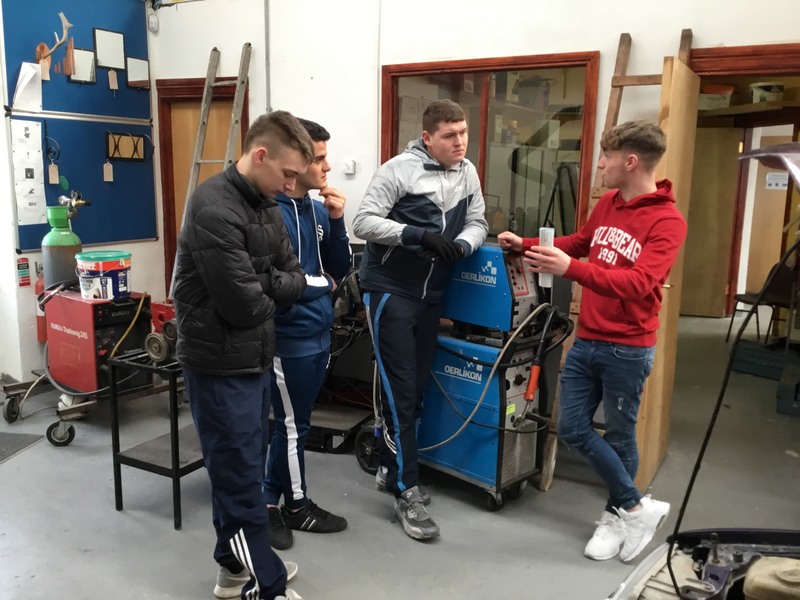 (junction) when they were given a blank ‘square left’ junction and had to work as a team and discuss how they would set it up safely. 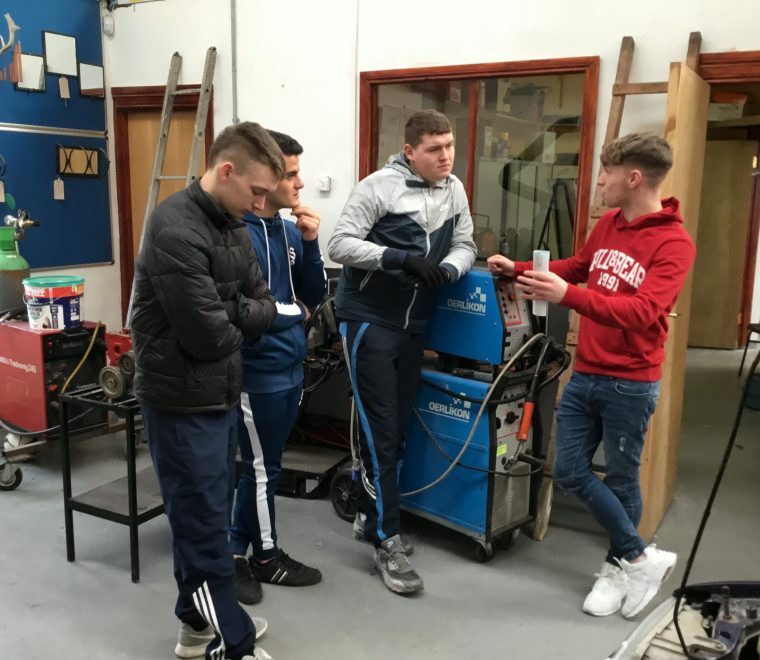 extinguishers. 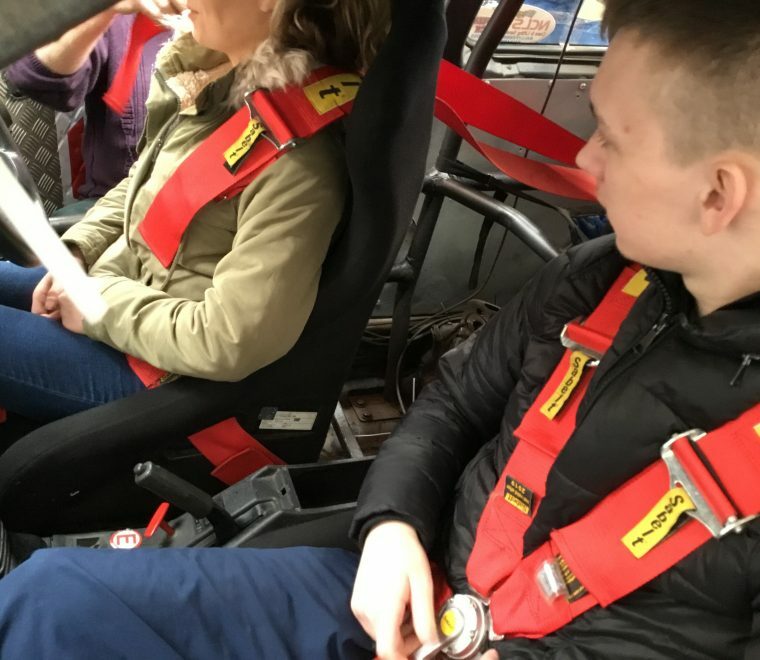 Everyone was given the chance to be strapped into the cars to see first-hand how tight the six point harness is and how little room for movement there is. 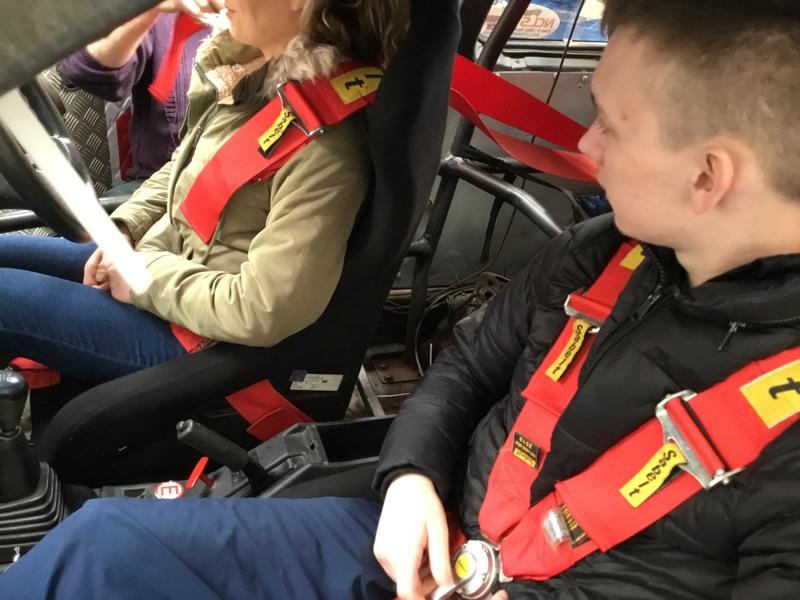 Overall the day was a resounding success, with a number of participants making enquiries about how to get involved in motorsport and rallying. 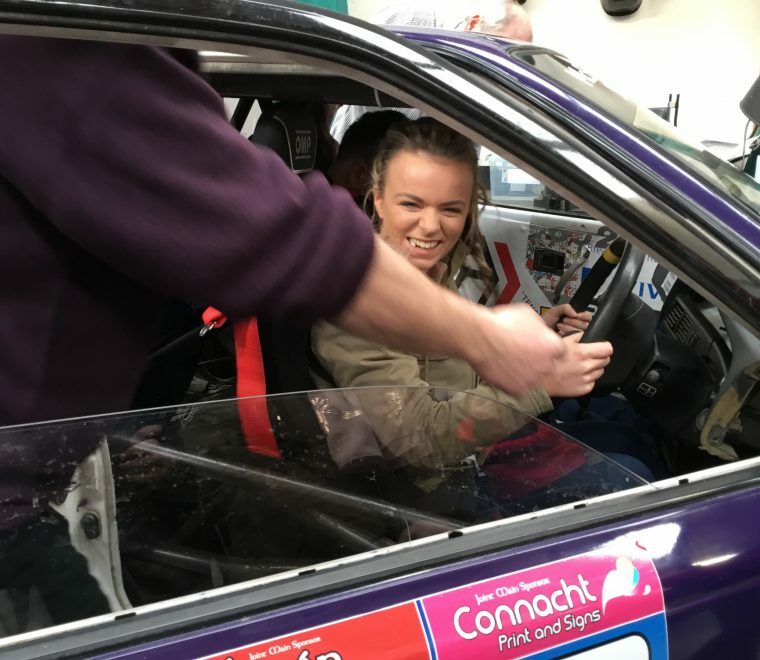 Many thanks to the club members who gave their time and equipment to make this day happen – David Healy, Pat and Patrick McEveney for coming along to give their presentations, answer questions and showcase their cars; Michael Loughney for the use of his helmet and HANS device, Killian Duffy for pacenotes and the Mayo Stages 2018 team for their help and support in gathering various paperwork and information.